Conical in shape when young, but as they mature they become almost flat. 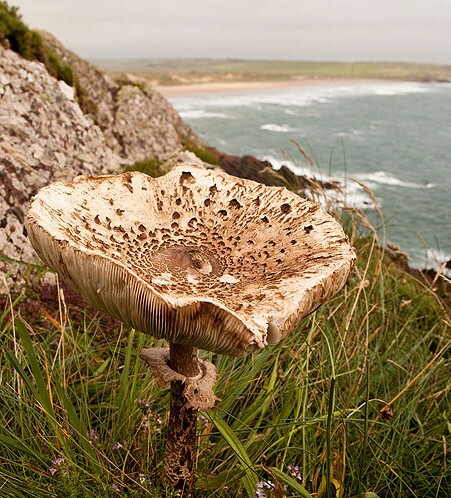 The parasol mushroom cap is quite tasty if cooked. There are similar looking mushrooms , when young , that are not edible.